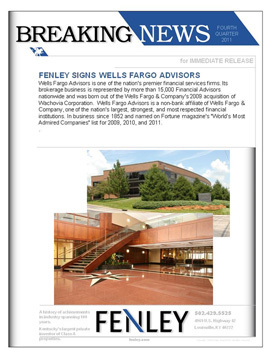 Wells Fargo Advisors is one of the nation's premier financial services firms. Its brokerage business is represented by more than 15,000 Financial Advisors nationwide and was born out of the Wells Fargo & Company's 2009 acquisition of Wachovia Corporation. Wells Fargo Advisors is a non-bank affiliate of Wells Fargo & Company, one of the nation's largest, strongest, and most respected financial institutions. In business since 1852 and named on Fortune magazine's "World’s Most Admired Companies" list for 2009, 2010, and 2011.